Many of us facilitate workshops or agile habits regularly and we know if a workshop has gone well if the outcomes are useful. There are also lots of elements of facilitation that we don’t often get feedback on. 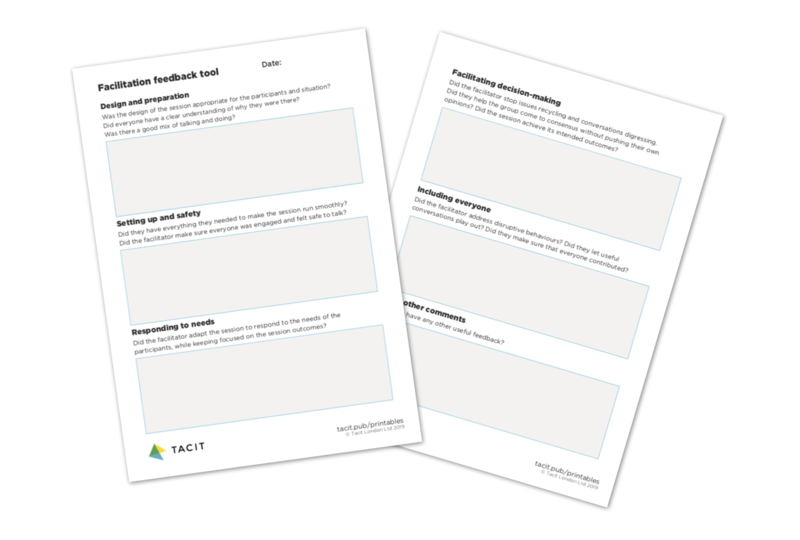 So here is a tool I use to help think about and frame facilitation feedback. I’ve had this feedback guide for a while. I use while observing other facilitators in action. The feedback helps them and observing others gives me a chance to see other approaches to facilitation. It’s a great way for communities of practice that do a lot of facilitation to improve their skills too. If you’d like to try it out, you can download it from my website as a pdf or a google doc here. If you use it, please leave feedback in the comments below.